Although the weather is getting warmer during the day in Southern California, we still have to endure cold nights. Why not try something different to top off those cold nights? It’s not only healthy, but its extremely tasty! This recipe would be great for a family dinner! 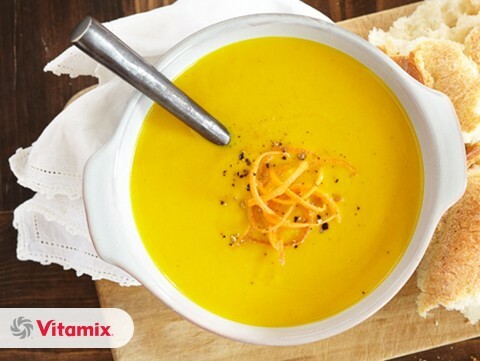 Place carrots, onion and garlic into the Vitamix container and secure lid. Select Variable 1. Place remaining ingredients into the Vitamix container, add sautéed ingredients and secure lid. Select Variable 1.